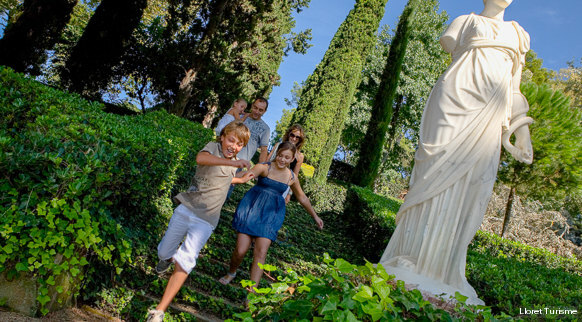 Lloret de Mar invites you to enjoy a family holiday in one of the liveliest towns on the Costa Brava. Thanks to the huge range of services and activities that it makes available to families, the destination has obtained the Family Tourist Destination seal awarded by the Government of Catalonia. Many of the town’s establishments offer all the necessary amenities, such as high chairs, bibs, children’s menus, identification bracelets, cradles, children’s entertainers, etc. What’s more, children will love all the fun options on offer: a water park, an adventure park, a kids’ club with games, bowling, minigolf and many other activities. Are you up for it?